In my previous post I reported on a bright stroboscopic flash display by the SIGINT satellite USA 81 (92-023A) on June 2. 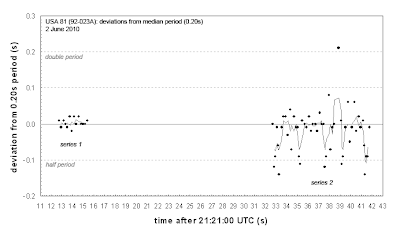 I now had some time to analyse the images. Below are diagrams showing the brightness behaviour in the two images that captured the event. The results compare with similar results I obtained in February this year, which for some reason I never published on this blog. 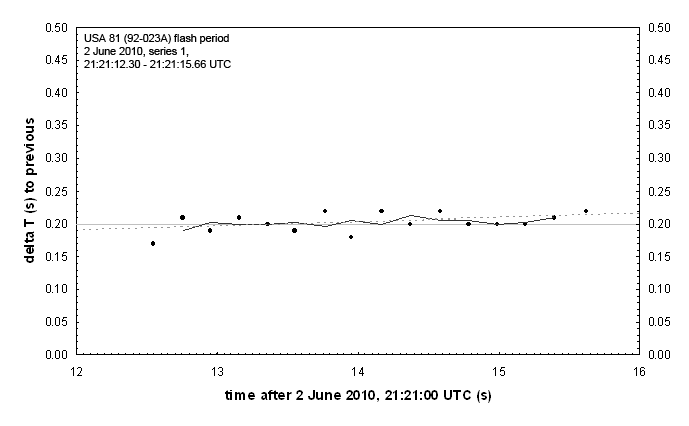 These are diagrams from my February 24, 2010 observations (two images), when it showed a series of sharp glints in the zenith, similar to those of June 2nd, with a period of ~0.41s (multiple of the 0.20s of June 2nd). 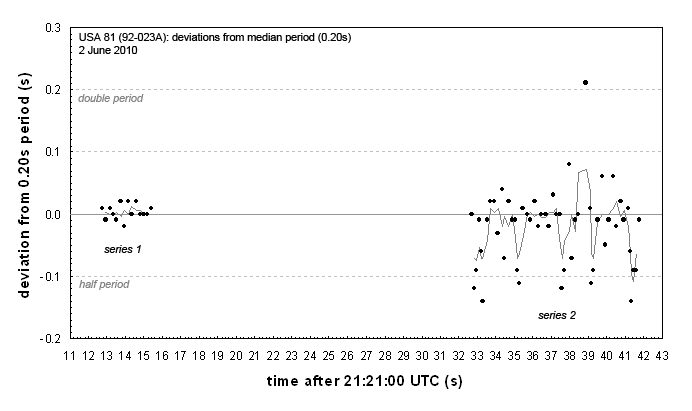 Lower in the sky, it changed to a slower cycle of less sharp peaks with a period of 1.26s. The brightness behaviour hence is quite similar to that for it's older sister ship USA 32 (see here).